Consequences that result from vetoed Security Council resolutions depend on the topic of the draft resolution. While consequences cannot be predicted accurately, historical examples show the dangers of a habitual use of the veto. Recent examples of such consequences include draft resolutions concerning Macedonia, Syria and Israel-Palestine. Whenever one of the permanent members of the UN Security Council uses their veto it leads to a paralysis of the United Nations as a whole. When a resolution could provide the UN with an opportunity to act in an event to maintain international peace and security, a veto binds the UN to observe an event from the outside. The consequences this has depend on what kind of action the vetoed draft resolution was meant to mandate. The effect on individual lives vary widely, since the vetoed draft resolutions concern many different types of actions – sanctions, humanitarian aid, threat of military interventions, extensions and deployment of peacekeeping forces and observers, and resumption of peace processes. 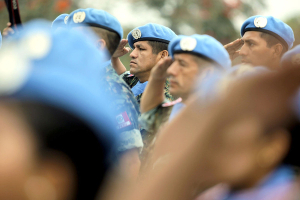 A Chinese veto in 1999 lead to the end of the mandate for the UN troops in UNPREDEP, stationed in Macedonia. The UNPREDEP mission is praised as one of the most successful examples of how a UN presence can stabilize a state and help it on its way toward peace. The motivation China gave to the veto was that the mission had fulfilled its tasks and that there were no longer any need for a peacekeeping force in Macedonia. The situation on the Balkans at this time was still, however, very unstable and several states expressed a concern that a dismantling of the mission could further destabilize the region, as well as jeopardizing the progress already made and increase tensions. As predicted, the years following UNPREDEP was marked by increased tensions and in 2001 a minor armed conflict broke out between the ethnic groups in Macedonia. NATO troops were deployed in response to ensure that the situation did not escalate into war, but the consequence of the Chinese veto was that the Macedonians had to experience another period of instability and insecurity. 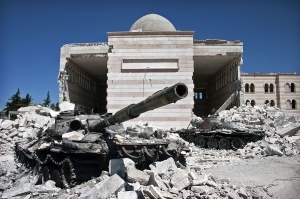 A more recent example of the consequences of the veto is the current Syrian conflict. Russia and China have cast their vetoes to block several draft resolutions that would allow UN action, some of which would have allowed military intervention. Other draft resolutions sought political solutions to the conflict. The motivations presented by Russia and China were that the draft resolution supposedly violates Syrian sovereignty. Recent developments in the conflict have taken alarming turns, however, and through the rise of the so-called Islamic State it has spilt over into Iraq and the conflict is today a clear threat to international peace and security. Such threats are exactly what the United Nations and the Security Council was set up to prevent. This development could certainly be attributed to the use of the veto since an early and definitive intervention by the United Nations could have stabilized the situation and prevented the deep radicalization of the parties to the conflict. It could also have stopped the IS from establishing control over such a vast area. Furthermore, if the UN were on the ground in Syria it could have ensured that the humanitarian aid sent to the state during the conflict would have reached those in the population in desperate need for it. This too, was obstructed by the use of the veto. Perhaps the most obvious example of the consequences of the veto is the situation in Israel and Palestine. 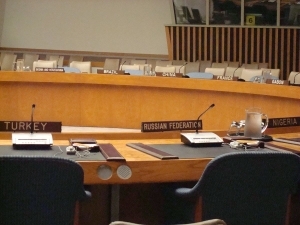 Through the years, a number of draft resolutions concerning a vast number of aspects of the conflict have been put before the Security Council. These have included attempts to force Israel to cease its building of settlements in Gaza, to force the parties to negotiations, to encourage a commitment to international obligations, to the condemnation of violent acts and terrorism, and to protect civilian populations. These draft resolutions have consistently been vetoed by the United States. The US has claimed that the draft resolutions do not reflect the situation accurately, that too much blame is put on Israel and that the resolutions would obstruct the peace process. The vetoes have stopped the UN from influencing the conflict in an efficient way and have contributed to nearly 70 years of unsolved disputes, hurting both Israelis and Palestinians. These are just three examples of what kind of consequences the veto has. Other examples include the continued violations of Human Rights in Zimbabwe and the lack of humanitarian aid to Bosnia and Herzegovina during the 1990’s. The veto can also have less dramatic, but still serious, consequences as was seen in Guatemala where a veto led to the Council not adopting a resolution in support of the peace process of the 1990’s. It is however, clear that in many cases the veto has serious and costly consequences in the form of prolonged conflicts and the loss of human lives. It is not certain that the vetoed draft resolutions would have prevented the situations in Macedonia, Syria or Israel and Palestine, but from what we know about the background of these crises we can see that the consequences of the inability of the UN to act has been severe. When the UN is repeatedly prevented from taking action, millions of people suffer the consequences. That is the reason to why we must change the way we view the responsibility of the international community and the use of the UN Security Council veto. See the page Take Action for information on how you can become part of our campaign.